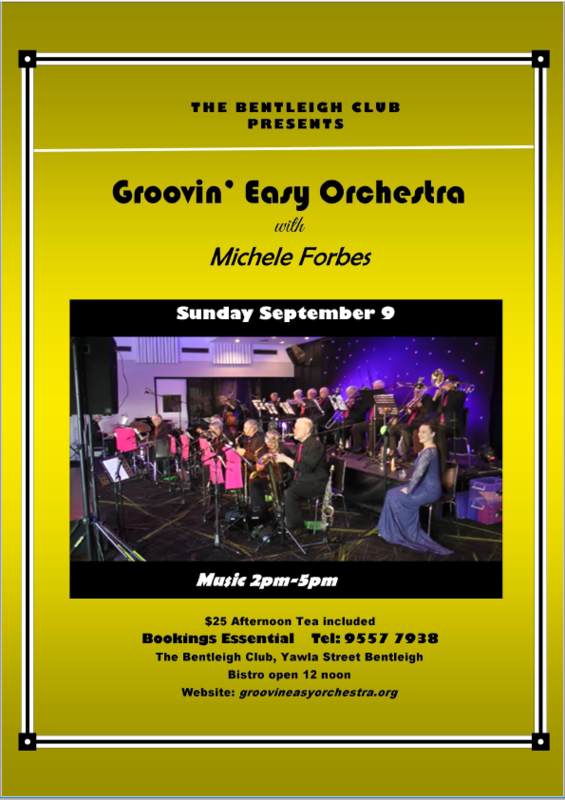 The Groovin’ Easy Orchestra (GEO) is an 18 piece Big Band playing great music suitable for listening and/or Dancing at the Bentleigh Club. Bookings essential, call (03) 9557 7938. Lots of free parking and easy access.